Demand for physical and non-physical gold in China is soaring. The Industrial and Commercial Bank of China (ICBC) reportedly sold nearly 7 tons of physical gold in January alone, almost half of what they sold in all of 2010, according to Reuters. The bank expects to sell 5 billion yuan worth of gold linked deposits this year, after having sold 1 billion yuan worth of the deposits in 2010, according to Zhou Ming, the deputy head of the ICBC’s precious metals department. With Chinese CPI at 4.9% it comes as no surprise consumer are rushing to buy the precious metal to hedge against inflation. Gold prices in Asia steadied in overnight trading while gold futures rose on the Comex in New York. The metal has been trading lower on the market today. 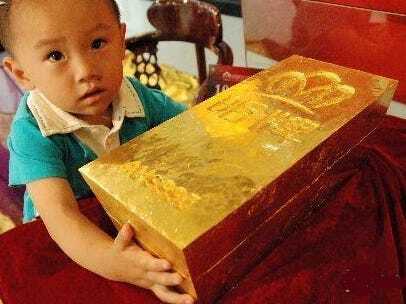 With 1,161.9 tons, China has the world’s sixth largest gold reserve valued at $50.19 billion. The country is the world’s largest gold producer, yet it imported 209 tons of gold last year.